One morning, during the Aqua Alta (high water) I have found the house where I was stay- ing completely cut off from the passage way by water. The line of the pavement (which was under the water as well) was like a border, with that difference that it didn’t only function as a border which separated one side from the other but also a line to follow (like Ariadne’s thread). The 5 photographs, positioned in the passage way show this ambiguity of a line, from one side separating, but at the same time continuously leading ones way towards the exit. One could say it is an allegory of life, as we follow the line of time and life we permanently remain on the border of life and death. Michal is a visual artist, who lives and works in Berlin, Germany and London, United Kingdom. Born in 1987 in Lublin, Poland. He studied visual arts at Central Saint Martins College of Art and Design (2009?2011). From 2007 Martychowiec has been creating number of topical photographic series, as well as video projections and extensive installations using diverse media: photography, film, drawing, objects. From 2010, he has been working on various opera productions, creating installations, which are specific reinterpretations of time and space, and incorporate different media. Recent projects include ones for Poznan Opera House (Poland) (multi-channel video installation) and Opera House in Seoul (South Korea)(video and still projections). Currently he is working at 2 long term projects - site specific installation Garden and a mixed-media project - Vanito Vanitas. Artist’s practice is a means by which to explore, by alternative means, philosophical ideas that complement his research. He applies notions of Eastern philosophy with a direct reference to the European aesthetics. He is concerned with historic phenomena brought into contemporary contexts, through individual and interdisciplinary creation of which he questions and reinterprets existing forms and ideas. His work is characterised by minimalistic aesthetics resulting, inter alia, in physical and mental reduction of forms. This aesthetics has its source in the Far East ? aesthetics of emptiness. A series Destination: The Magic Mountain was first to clearly indicate his direction, it became part of an exhibition Awake and Dream at Palazzo Doná in Venice, headquarters of Signum Foundation. Following the exhibition a project commissioned by the foundation - Awake and Dream. Documentation was created and followed by 3 exhibitions, 2 of them accompanied Art and Documentation Festival and Międzynarodowy Festiwal Fotografii FotoFestiwal (International festival of photography in Lodz) while the other was shown in the place of the project's creation: Palazzo Doná. 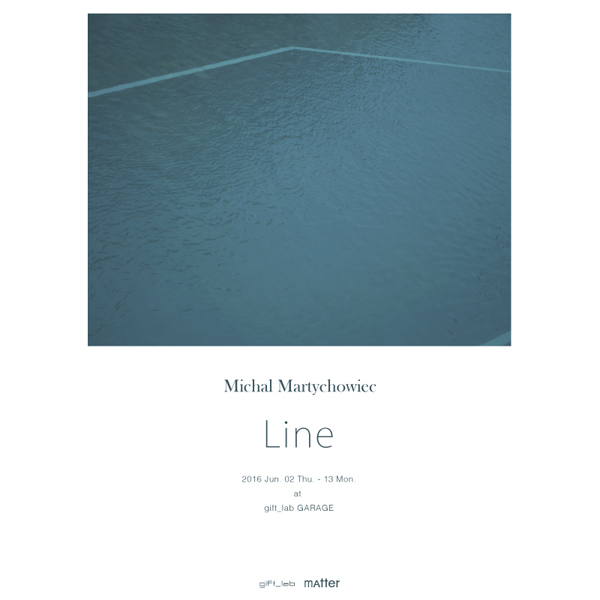 The latter project is one from the series of documentations of considerable problematic exhibitions, where Martychowiec raises an individual dialogue with history and art. At the same time, Martychowiec is collaborating with number of niche fashion magazines and other commercial publications including European Vogues, Glamour and Vanity Fair creating, directing and projecting photographic fashion series, being reflection of his personality and interests in the culture of the Far East.